Your personality is on display every time you smile. What does your smile say about you? If your teeth are discolored from coffee, soft drinks, sports drinks, wine or nicotine, it is time to consider your teeth whitening options. Whiter teeth may be only a dental visit away. Many people with yellowing teeth first turn to the drug store for whitening products, but over-the-counter whitening treatments can require lengthy application times. Some can take weeks or even months to show results, and most treatments must be repeated in order to maintain optimal whiteness. Other products may not be effective in removing stains deep within the enamel of the tooth. Whitening toothpastes, for example, simply scrub away surface stains, much as a professional cleaning polishes away minor stains. In-office dental whitening procedures are the most effective way to whiten teeth available today. Dentists have several options to help you achieve your whitest smile ever. Whitening gels with custom-fit mouth trays can quickly and effectively whiten your teeth. Zoom! 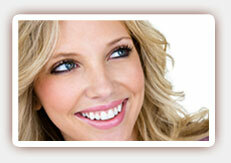 whitening is another tooth bleaching procedure only available through a dentist. Once your gums and lips are protected, the Zoom! bleaching gel is painted directly onto your teeth, after which a special light is used to activate the gel. The light allows it to penetrate deeply, breaking up stains within the enamel and dentin, which leaves them permanently whiter. Not all whitening procedures are appropriate for all patients. 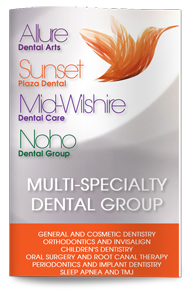 If you are interested in whiter, brighter teeth, talk to our West Hollywood cosmetic dentist about your options. Contact us today to schedule your consultation.